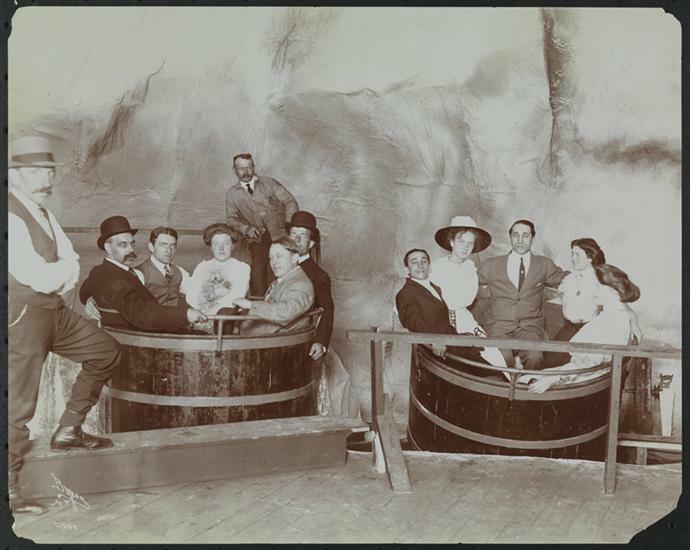 Museum of the City of New York - Coney Island, General Views [Amusement Ride]. Coney Island, General Views [Amusement Ride]. Passengers in the barrel-shaped cars of an amusement ride at Coney Island.